• The Science Museum is commemorating 70 years of India’s independence with Illuminating India, a season of exhibitions, specially commissioned artworks and events telling the stories of Indian innovators and thinkers who have often been overlooked or written out of Western versions of history. The exhibition Illuminating India: 5000 Years of Science and Innovation celebrates India’s central role in the history of science and tech by surveying its contributions to subjects ranging from space exploration to mathematics, communication and engineering while Photography 1857-2017 is the first exhibition to provide a survey of photography from its beginnings in India in the mid-19th century through to the present day and pivots around two key dates in India’s history – 1857 and 1947. Alongside the exhibitions, artist Chila Kumari Burman has been commissioned to create a special series of artworks and there is a comprehensive program of related public events, some of which are free. The Illuminating India season runs until 31st March. For the full programme of events, head to www.sciencemuseum.org.uk/indiaseason. 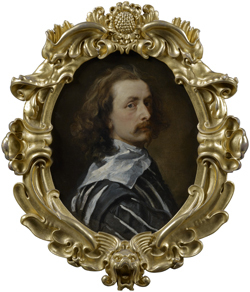 • To mark the return of Sir Anthony van Dyck’s self-portrait (pictured) to the National Portrait Gallery after a three year nationwide tour, contemporary artist Julian Opie has been invited to present his works in dialogue with the painting. Julian Opie After Van Dyck features new and recent works including Faime (2016), Lucia, back 3 (2017) and Beach head, 6 (2017). The free display in the seventeenth century galleries opens tomorrow and runs until 7th January. It’s the final of three displays held in the gallery as part of the three year tour following the purchase of the Van Dyck self-portrait, painted in about 1640, in 2014. For more, see www.npg.org.uk. PICTURE: National Portrait Gallery. • The friendship and works of Salvador Dali and Marcel Duchamp are explored in a new exhibition opening at the Royal Academy tomorrow. Dali/Duchamp features more than 80 paintings, sculptures, “readymades”, photographs, drawings, films and archival material and is organised into three thematic sections – ‘Identities’, ‘The Body and the Object’ and, ‘Experimenting with Reality’. Among the highlights is Duchamp’s The King and Queen Surrounded by Swift Nudes (1912), Fountain (1917/1964), and The Bride Stripped Bare by her Bachelors, Even (The Large Glass) (1915), as well as Dali’s The First Days of Spring (1929), Lobster Telephone (1938) and Christ of Saint John of the Cross (c1951). Runs until 3rd January and then moves to The Dali Museum in St Petersburg, Florida. Admission charge applies. For more, see www.royalacademy.org.uk. • The first tranche of tickets to see this year’s New Years Eve fireworks event over the River Thames in central London were released late last week. The display will feature more than 12,000 fireworks, and involve 2,000 lighting cues and 30 tonnes of equipment on three barges (and, despite the renovation work, the New Year will still be rung in by the bongs of Big Ben!). The tickets, which are available for £10 each, provide access to a range of specific areas – some of these are already sold out. The full cost of the tickets goes towards costs associated with the ticketing system. People can book up to four tickets at www.london.gov.uk/nye.